Held in a different location biannually, the Summits create a space for patients, the public and active citizens to connect with leaders and frontline staff. They offer a fresh way to talk about, listen to and understand how people’s differences can affect their personal experiences, quality of care and health outcomes. The Summits help encourage people to raise and tackle some of the most pertinent challenges that exist in promoting equality and tackling health inequalities at local levels. 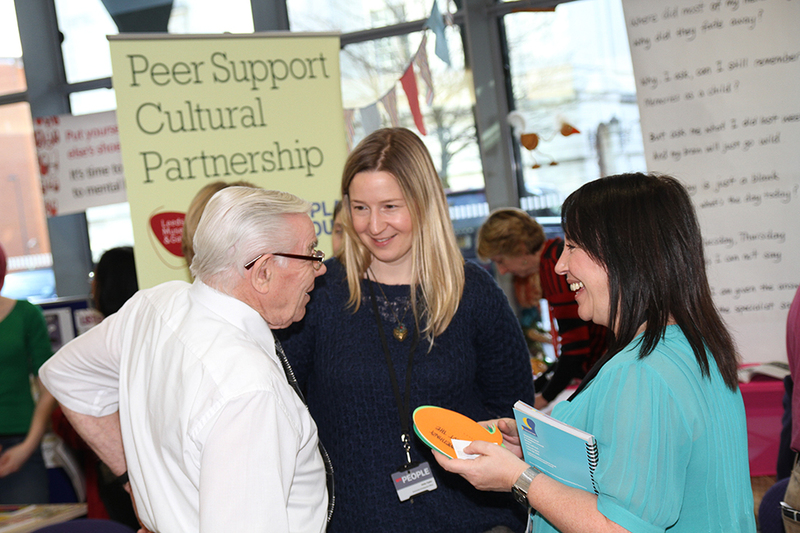 We are committed to working in partnership with key stakeholders from the public, private and voluntary and community sectors to help reduce health inequalities and advance equality for all. Our new way of working involves a broader spectrum of the community and reflects our firm belief that the NHS belongs to the people and that we need to shape the future together. create health and care services and workplaces that are truly personal, fair and diverse for everyone. Ninety-one per cent of those that attended the first NHS Values Summit in Leeds (November 2012) told us that the event successfully celebrated local activities to support health and wellbeing within diverse communities, and 81 per cent agreed that it increased their awareness of NHS values and helped facilitate action on improving social values and ethical leadership at local level. The Bristol NHS Values Summit (May 2013) set the City of Bristol with the challenge of bringing together the public, private and voluntary sectors in ensuring a fair society, sustainable communities and a healthy standard of living for all. The Summit was preceded by Professor Steve Field and Paula Vasco-Knight visiting the city, where they actively engaged with local health leaders, third sector organisations, clients and patients – reflecting upon issues including health inequalities and the impact of social deprivation on communities. Since the Summit, local system leaders and key stakeholders in Bristol have developed a programme of work to help make Bristol a true ‘healthy city’. The Greater Manchester NHS Values Summits was held on 18 September 2013 and explored the theme of patient-led and values-based approaches to integrated care. At the fourth Summit, in London on 4 November 2013, the refreshed Equality Delivery System for the NHS – EDS2 – was launched by the CEO of NHS England. Attending the Summit were be patients and the public, representatives from health and social care, and stakeholders from the private, public, voluntary and community sectors. During the morning, delegates attended interactive workshops and to engage in strategic conversations focussing upon the theme of the event: continuous improvement and innovation to tackle health inequalities and advance equality for all. Decision-making: patient and community empowerment. A representative and supported workforce. Regulation of NHS organisations and alignment with EDS2.